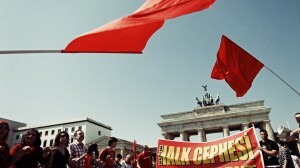 German labor leaders urged May Day demonstrators on Tuesday to fight for big pay rises after a decade of restraint that had seen wages in crisis-hit southern Euro zone nations soar. 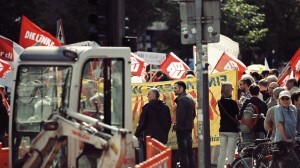 The head of the powerful IG-Metall union, demanding a 6.5 percent rise, described an offer of 3 percent over 14 months as a farce. 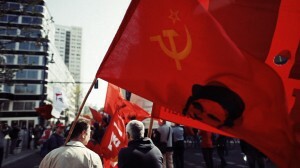 From Hamburg in the north to Stuttgaqrt in the south, the mood of members rallying in sunny weather under red union flags, banging drums and blowing whistles, was combative. IG Metall, with a membership of 3.6 million, held warning strikes at the weekend and is planning more for Wednesday in Germany’s industrial heartland of North Rhine-Westphalia. 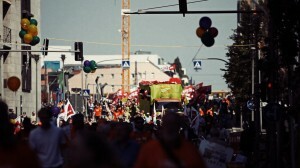 If the major unions achieved pay rises anything near their demands, pressure for a policy response would grow. There are signs German policymakers are already starting to worry about inflation, although it continues anchored around two percent. Last week, Economy Minister Philipp Roesler said the European Central Bank should refocus on price stability. 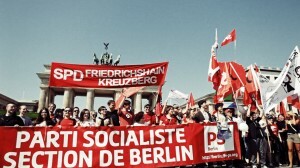 German Trade Unions, however, see their demands backed by strong corporate performance and record low post-unification unemployment of 6.7 percent, contrasting starkly with other euro zone countries such as Spain where unemployment has reached 24 percent after years of high wage rises and fiscal laxness.